The Great American Solar Eclipse 8.21.17 — Circle Visual Inc.
To everyone's delight The Great American Solar Eclipse passed through the Unites States earlier this week. Crowds gathered across the country, from coast to coast, to witness this historic and memorable event. If you were lucky enough to be in the path of totality you had the best show. 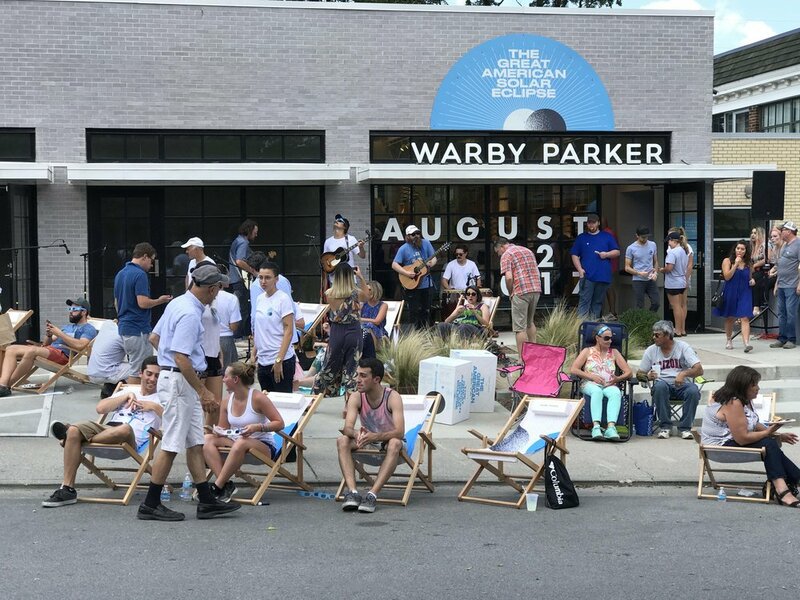 Our friends at Warby Parker hosted an eclipse viewing party at their Edgehill store in Nashville, Tennessee. Eclipse watchers were treated to complimentary viewing glasses and offered a seat in these fabulous sling chairs we crafted. The perfect seat for gazing at the sun! Hit us up for your next special event and see what we can make for you!